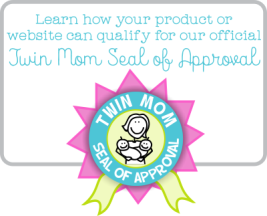 Are you curious about twin homebirth? A home birth with twins is not only possible, it can be a wonderful experience too. But, you will definitely want to get the best information and advice on this type of birthing, especially when you're pregnant with twins. Home birth is not for everyone. There will likely be several factors to consider with each mother's unique pregnancy and medical history before being able to make a proper decision. You should also weigh the pros and cons of choosing a doctor or midwife. You should check if there is a midwife available in your area that is experienced with twin homebirth. Be sure to talk to other parents who have been through the experience of birthing their twins at home and your family doctor as well for advice and support. We recommend that you familiarize yourself with the process of a home birth with twins via some of the many inspiring personal stories available on, and off, the web. Be sure to read the one we have about an amazing woman who birthed her twins at home in the bathtub! 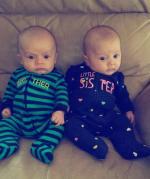 Read An Amazing Twin Birth Story - One Twin Born at Home and the Other in the Hospital! We have also asked our helpful contributing OBGYN, Dr. Carri Warshak about natural birth in general with twins on our Ask An Expert page and have re-posted the question and answer here for added benefit. Dr. Warshak's response covers some of the risks to consider. However, keep in mind that different doctors will have different opinions and this is just one. Q: Is it possible to have a natural, un-medicated, vaginal birth with twins? A: It is possible, but much less likely. The reason is increasing concerns with the safety of vaginal breech delivery. Vaginal birth requires the first fetus to be cephalic or "head-down". If the first baby is anything but this position, vaginal delivery is unlikely and even unsafe. Once this first baby is delivered, then many things can happen that could endanger the remaining twin. For instance, now that the baby is out of the way, and the cervix is wide open, the cord can come down instead of the other baby. This is very dangerous for the fetus. Sometimes as the uterus rapidly shrinks with the delivery of one baby the placenta can separate, and this also is very dangerous. Often the fetus just doesn't come down in the right position and cannot delivery vaginally. All-in-all, the risk is needed to warrant a Cesarean section (and usually a more urgent Cesarean section) for the second twin, after a vaginal delivery of the first twin. This rate is typically quoted at being between 5% and 10% of all women with twins who attempt to delivery vaginally. Because of the potential need for quick surgery, regional anesthesia (epidural) is highly recommended when delivering twins. Otherwise, should something unexpected happen the mother would have to be exposed to general anesthesia, and the delivery process would be dramatically slowed down. Be sure to add a photos as well to make your story stand out!